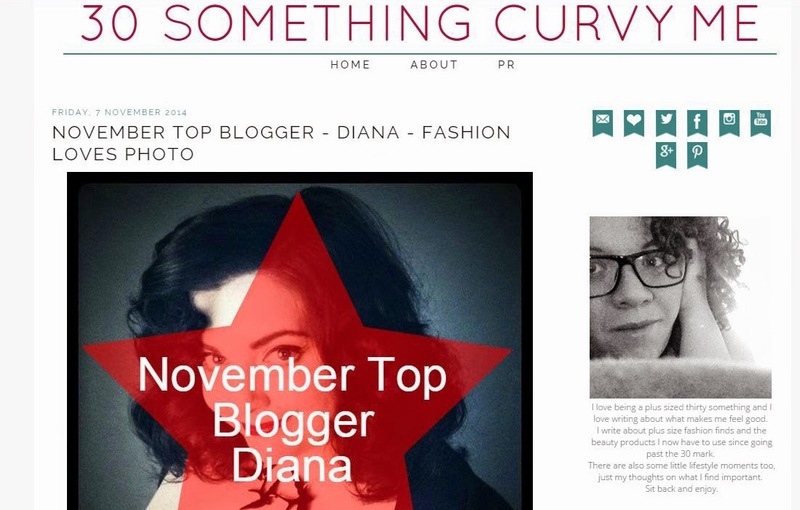 This month I am so happy to be featured as one of November's top bloggers by the lovely Leah over at 30 Something Curvy Me. In the interview, I ramble on about photography, my fashion inspiration and lots, lots more. If you fancy having a cheeky read of the full piece, you can find it online here. Fantastic - massive congrats! I'm loving all the photography tips too - my house is dark and my camera is rubbish so I'll definitely be following some of the advice you give!